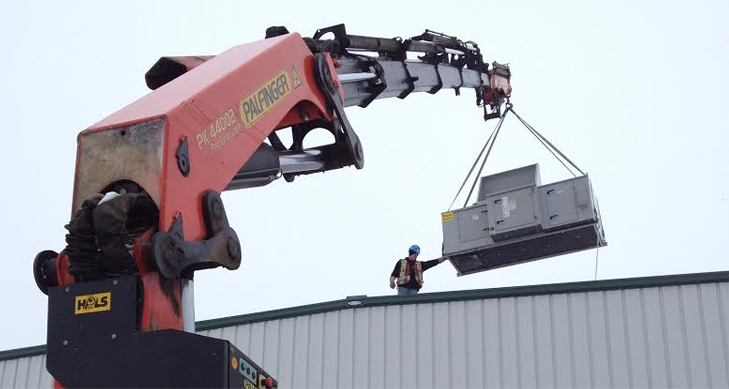 A countless number of industries today have to lift and move heavy fixtures and pieces of machinery. For each, the challenge is to do this safely, quickly, and efficiently. 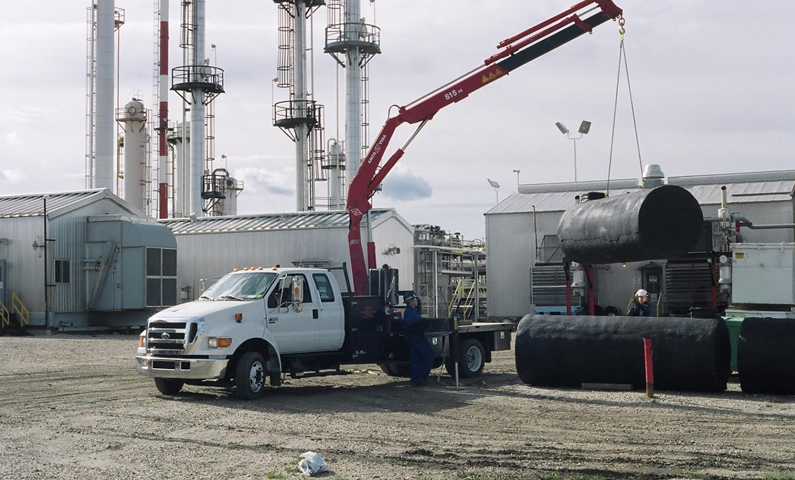 In a modern industrial space, these solutions consist not only of the hoists, cranes, boom trucks, and any number of machines designed and rated for lifting, but also the qualified personnel needed to operate them. Our picker trucks have been designed in a variety of configurations for maximum versatility. Rear mount knuckle boom cranes from 3-30Ton capacities for tight locations or more typical mid mount cranes from 3-20Ton capacities including tractor trailer units. You can rest assured that we have the equipment to suit your needs. 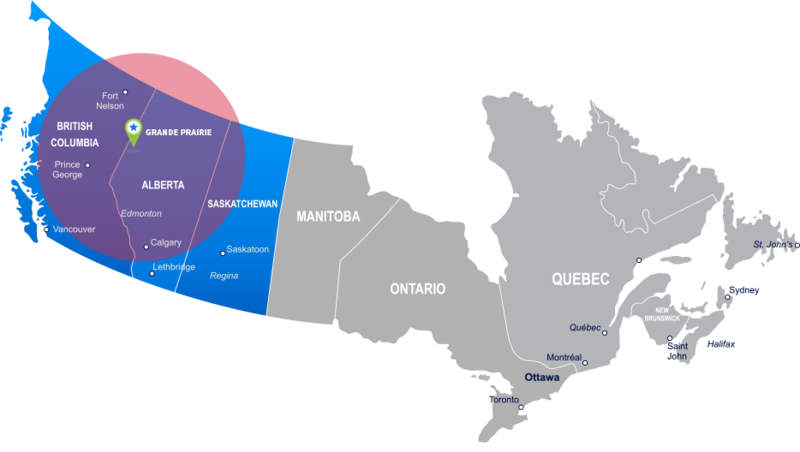 Our expert staff is here to help you in determining the correct configuration, size and capacity rating you will require for your specific job. We can offer many value added benefits to assist you in completing your job quickly and cost effectively. Don’t hesitate to ask, we are here to assist you in solving your problems. 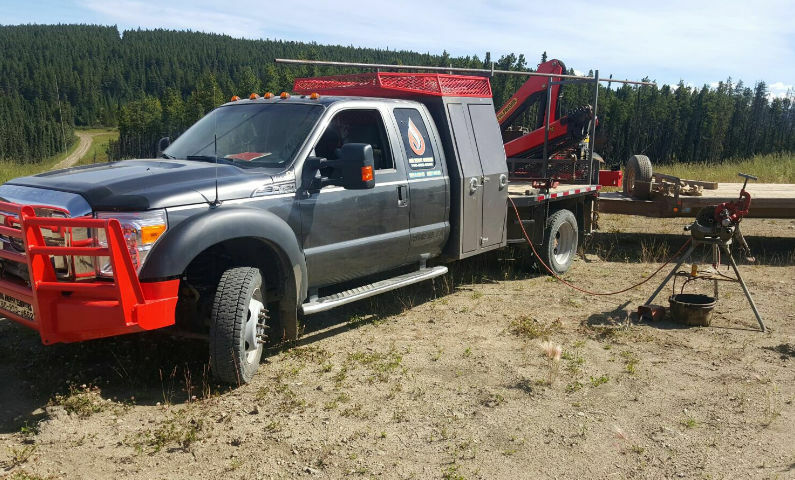 3 Ton - "Road Runner"
Our maintenance, fitting and portable welding fleet consists of numerous units ranging in size from 1 ton flat decks with or without pickers up to 2 ton trucks with Palfinger 3 Ton Knuckle boom pickers. We also offer several 8 and 9 ton units with a complete compliment of hand tools. 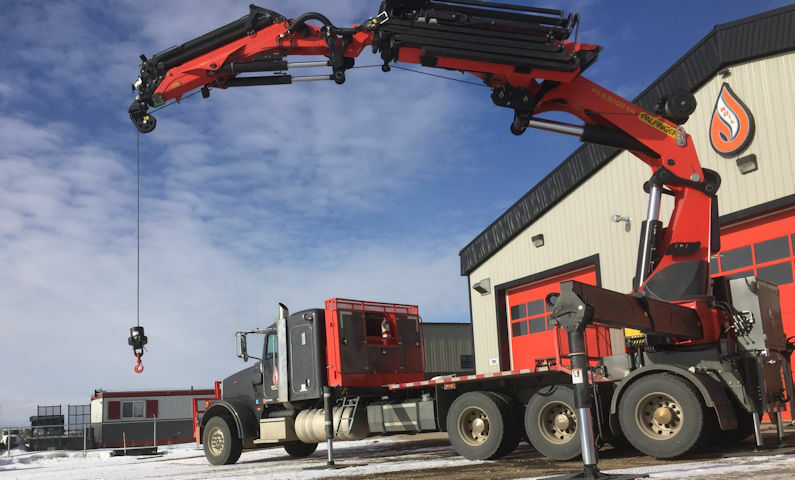 “Road Runner” is a unit we built when our typical loads were not overly large but the benefits of a rear-mount picker with an Inverted (reverse) jib on a smaller, lighter truck were advantageous. “Casper” is the first picker truck we rigged out. 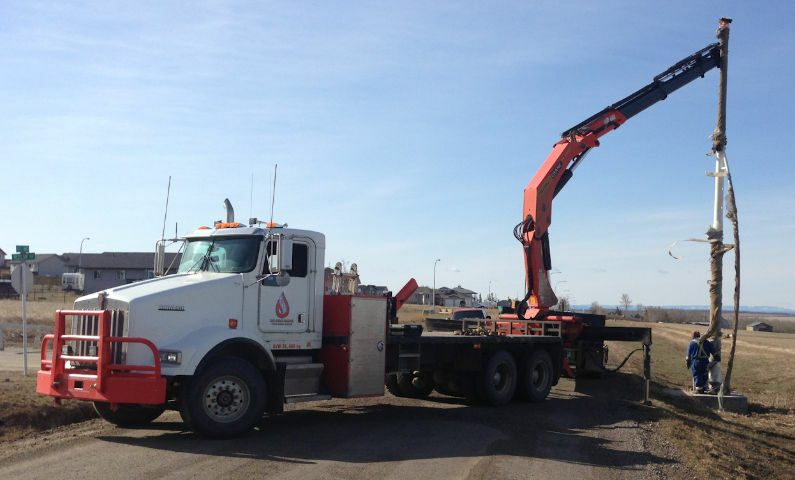 Originally put together as a large tool/picker truck it features a mid-mount 8 ton Amco/Veba knuckle boom crane. “Freddy” is one of our shortest trucks adding to its versatility and allowing it to be extremely maneuverable around site. 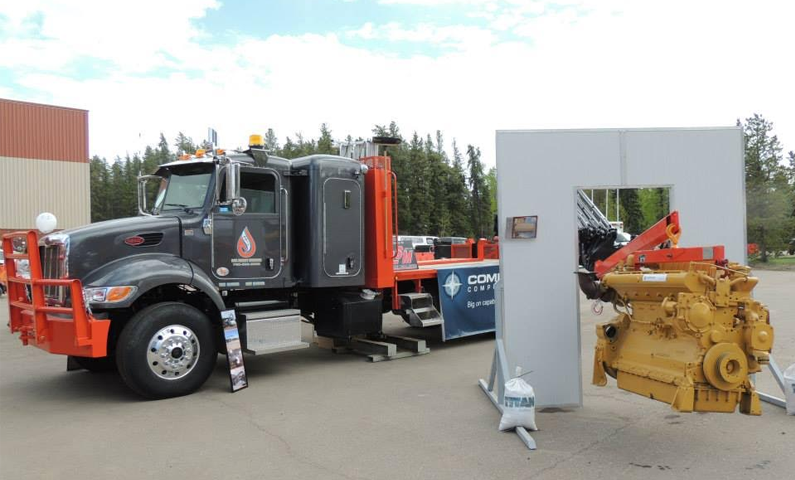 Freddy is a 2007 M2 Freightliner and is equipped with a 7’ long deck with a healthy max payload of 12,786 lbs. and trailer towing ability. 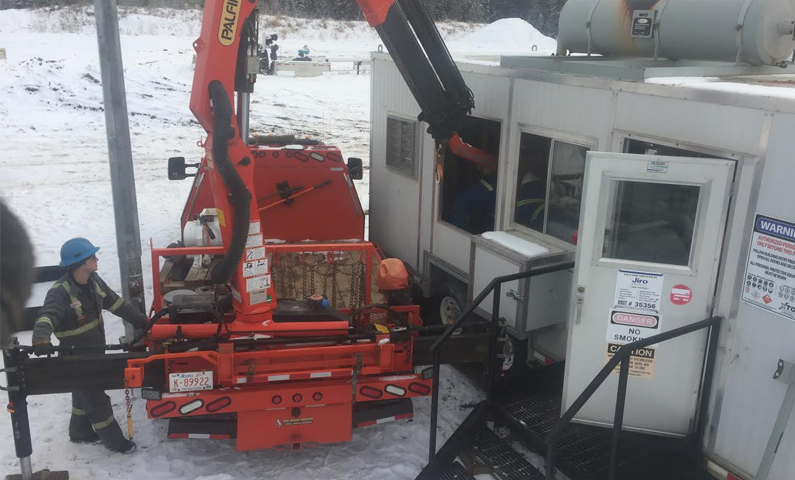 “Gizmo” is a truck that we built by popular demand for customers who wanted the capacities offered by our other 8 Ton units, but required the added benefit of a rear-mounted picker, which has become the most popular configuration for “in building” lifts. 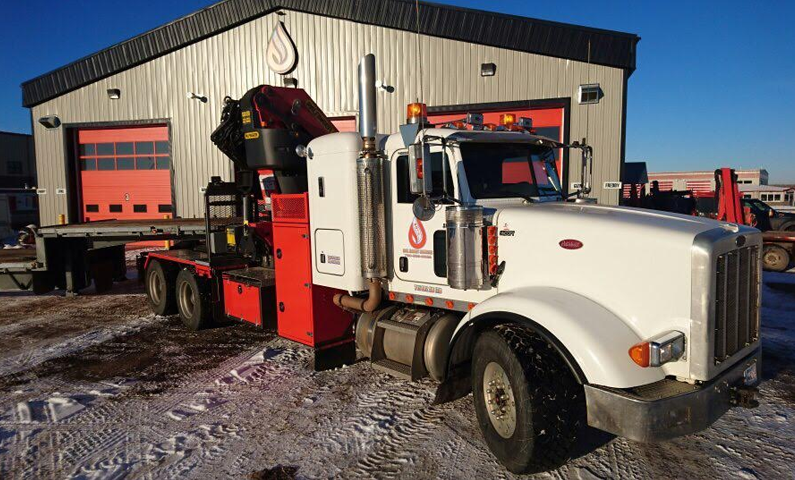 A 2000 T800 Kenworth tandem axle unit with a rear-mounted Palfinger PK32080C 16 ton knuckle-boom crane, “Kenny” has helped us deliver for countless clients. This truck has the strength to haul some of the heaviest stuff we pull. “Snoopy” is our latest addition to the light hauler / picker fleet a Peterbilt 367 tandem axle tractor trailer unit. 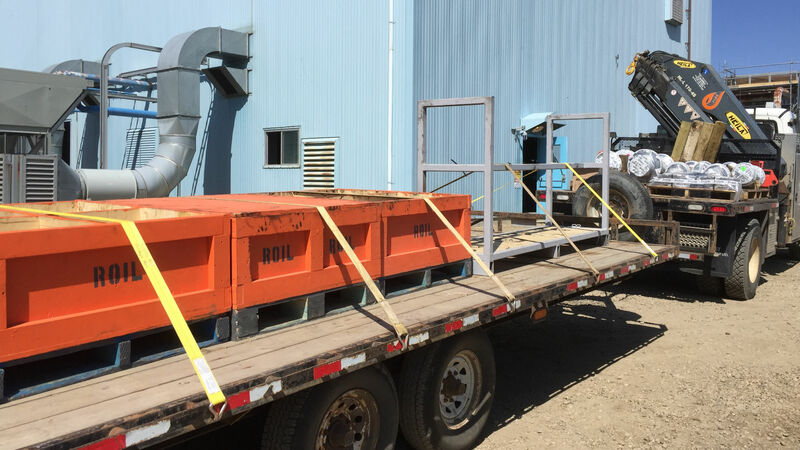 This unit was constructed with our clients larger loads in mind, coupled with our new Manac 48′-67′ trombone trailer larger and longer loads are no problem! “Spike”, one of our newest units, is primarily constructed for heavy “in-building” work with its inverted (reverse) jib rated for up to 16,000 lbs. 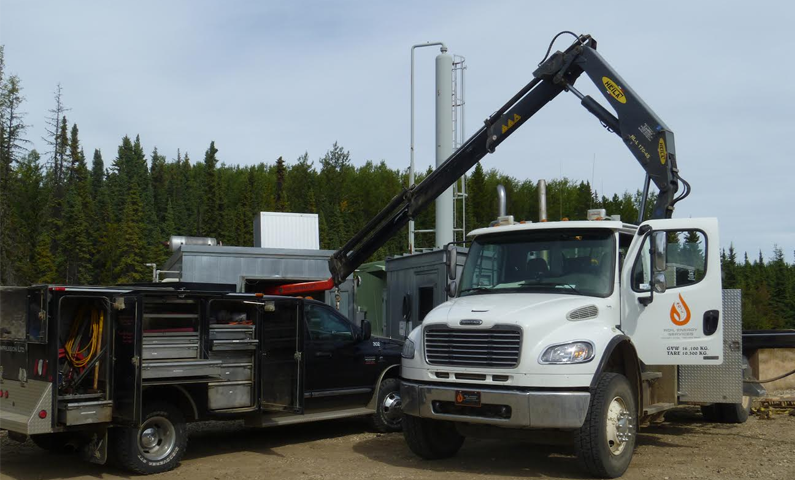 This truck is equipped with a “power link” system that allows for 15 degrees of negative angle on the outer boom. And when fitted with a hydraulic fly jib, an additional 25 degrees of negative angle can be achieved, making Spike ideal for reaching through doorways, under pipe racks, or even through windows. Also included is a winch system on both the main boom and fly jib to allow hoisting capabilities as per stiff boom trucks. Capacities of 28,820 lbs. @ 13’ and 6,490 lbs. @ 51’ with fly jib installed 2,332 lbs. @ 81’ fully horizontal! Our fleet of trucks can meet a wide range of demands, but some are ideally suited to light hauling needs. From our versatile 1 and 2 Ton deck trucks and light picker units to our larger tractor trailer units. We have the trucks and trailers as well as many specialty hauling products to help you get your products moved safely and on time!